“I consider myself someone who just loves making films and hopes people enjoy watching them.” James Cullen Bressack. When Bressack makes a film, he puts a huge effort into the preparation with the script, sets, locations, equipment, and general production tasks. If any issues arrive during filming, he’s well known for being the one attacking the problem so neither the filming nor budget is affected. When an issue arises that on most sets would halt production, Bressack refuses to surrender. While filming PERNICIOUS, storms flooded the immediate surrounding of the house where a lot of scenes were filmed. The cast was supposed to arrive by taxi, but the taxi wasn’t able to reach the house, so Bressack with crew members built a pier overnight for a boat to bring the cast. 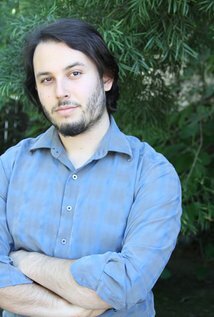 Bressack started making films at the age of 18 and each film he makes gets better with quality, story, structure, visuals, and dialogue. Many of his films are horror genre, but he writes, directs, and produces films of all genres. One of his great qualities is getting personal with his characters. He prefers to write and direct a film because while writing he’s visualizing every word on the script and how he’ll film it. Once he finishes a project you’ll immediately see him posting on his social sites that he’s either writing or directing another film. With over a dozen films currently in variousstages of production, Bressack’s IMDB is consistently ever changing. 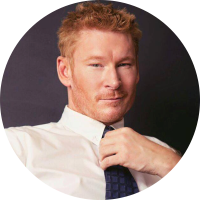 After Bressack worked with Zack Ward on several films, the two developed a professional relationship and realized that if they partnered up they can make some quality films together. The result is Grit Film Works and immediately a couple of horror screenplays they wrote went into production. The first film by Grit Film Works is BETHANY, which Bressack directed and it stars Zack Ward, Shannen Doherty, Stefanie Estes, and Tom Green. The second is RESTORATION which was directed by Ward and stars Emily O’Brien, Ward, Adrian Gaeta and Sarah Ann Schultz. Bressack has worked several times with Daemon Hillinof Benetone Films as they met about five years ago. Bressackwill always be grateful to Hillin as he credits Hillin for being the first person to really take a risk on him as a filmmaker and gave Bressack a budget past the micro budgeted films he started out with like MY PURE JOY and TO JENNIFER. The risk paid off as Bressack directed Benetone Films highly acclaimed horror, thriller PERNICIOUS which starred the amazing Ciara Hanna. Hanna is an extremely versatile actress that has had roles in all genres from Power Rangers to starring in Bressack’s horror films BLOOD LAKE, PERNICIOUS and his upcoming drama LIMELIGHT. Actor Trae Ireland has been busy racing between sets with a couple dozen films and TV Series due out this year. 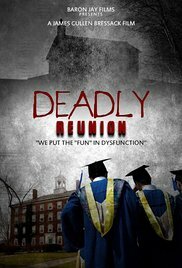 Ireland starred in Bressack’s horror 13/13/13 and is starring in his upcoming horror thriller DEADLY REUNION. Ten years after graduation, a mini-reunion is organized by Tom and Jill Miller at their home, inviting only the special friends that were in their clique and one fringe member, Bobby Zwick, whom they had done a terrible wrong. Bobby said all was forgiven, but he was not telling the truth. Recently wrapping up filming is Bressack’s STILLWATER a crime film that revolves around the story of a rookie cop in Stillwater, OK, who is thrown into a firestorm of crime and deception as she hunts down a killer trying to murder her fellow officer.